Fig. 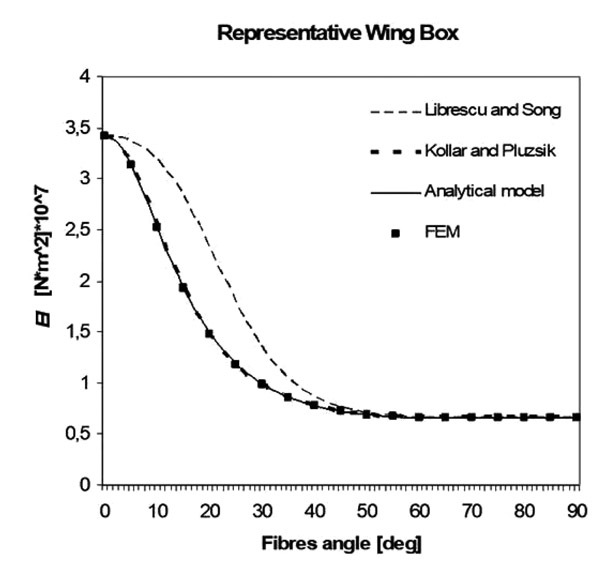 (13) EI for the “Representative” unbalanced composite wing box. Fibres angle vary from 0 to 90 degrees.